The Green Girl decided to give The Fresh Diet a try when she saw a Groupon offer for $29 (retail value $60) for three meals and two snacks. 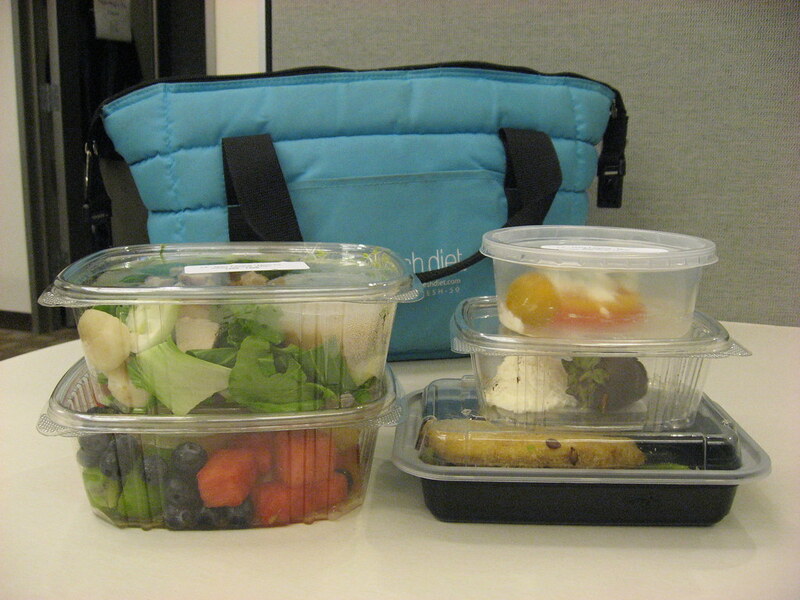 The Fresh Diet is a daily meal delivery service. The food is delivered to you in a cooler the night before between the hours of 7:00 pm and 5:00 am. My insulated cooler arrived sometime between 2:00 am and 5:00 am. A plastic cable tie secured the zipper and a reusable ice pack was enclosed. 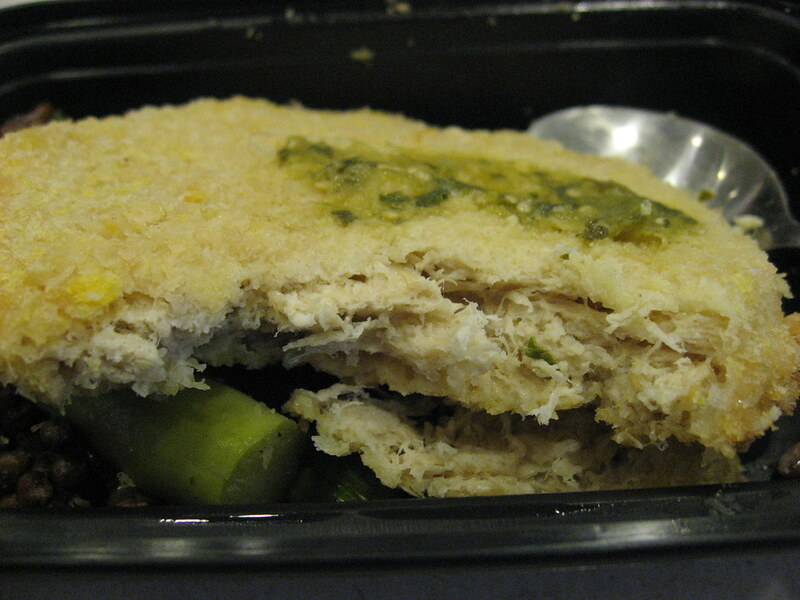 The Fresh Diet dishes contain a balance of 30% protein, 40% carbs, and 30% good fat. According to the labeling on my packages, I was on the 1,200 - 1,400 calorie per day diet. I know from experience that I need at least 1,800 calories a day. 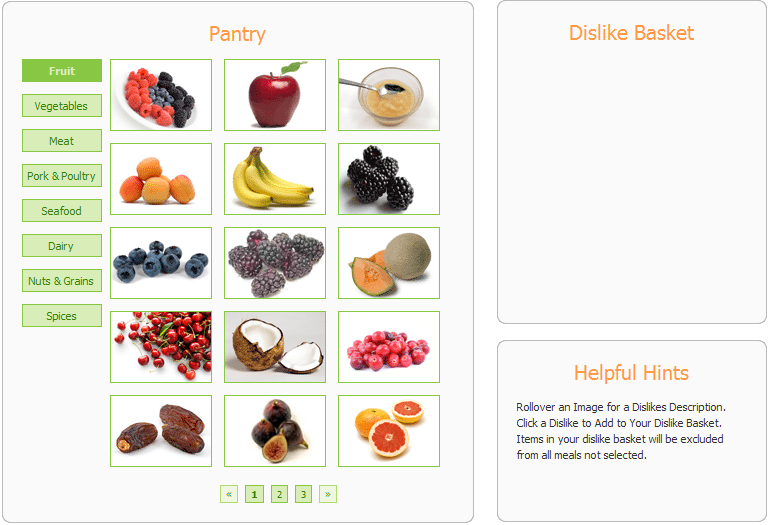 Within each category, there are foods you can click on to have them added to your 'Dislike Basket'. Aside from my fish/seafood/shellfish allergy, I am very open-minded when it comes to food. I actually prided myself on being someone who could eat 'anything' until I consulted with a nutritionist a few years ago and was forced to actually list foods I refuse to eat. For the record, I will not eat black licorice, poi, and natto. 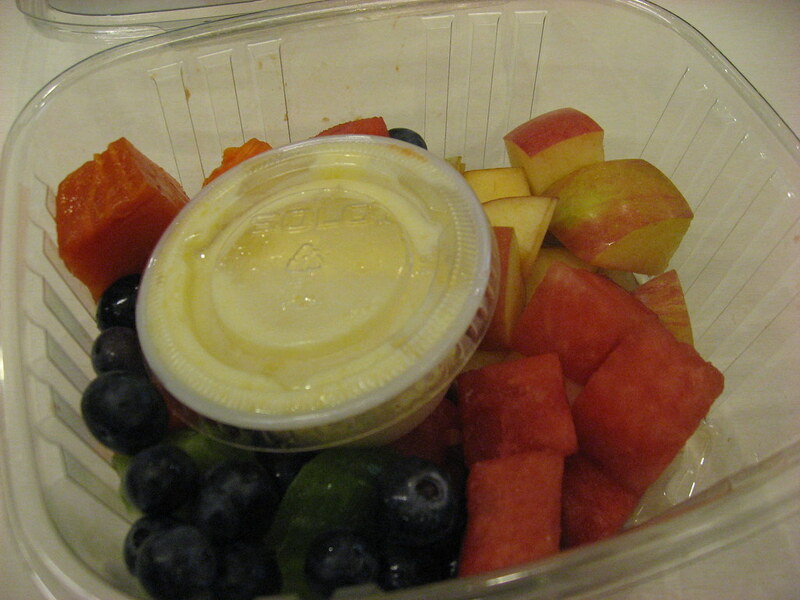 Breakfast was a fruit salad containing apples, blueberries, and papayas, and low-fat apricot yogurt. The apples were crisp and sweet. The blueberries were firm and not sour. I prefer my papayas a little bit less ripe. I wasn't a big fan of the apricot yogurt but I did like how it was on the tart side. I don't like when my yogurt is overly sweetened. 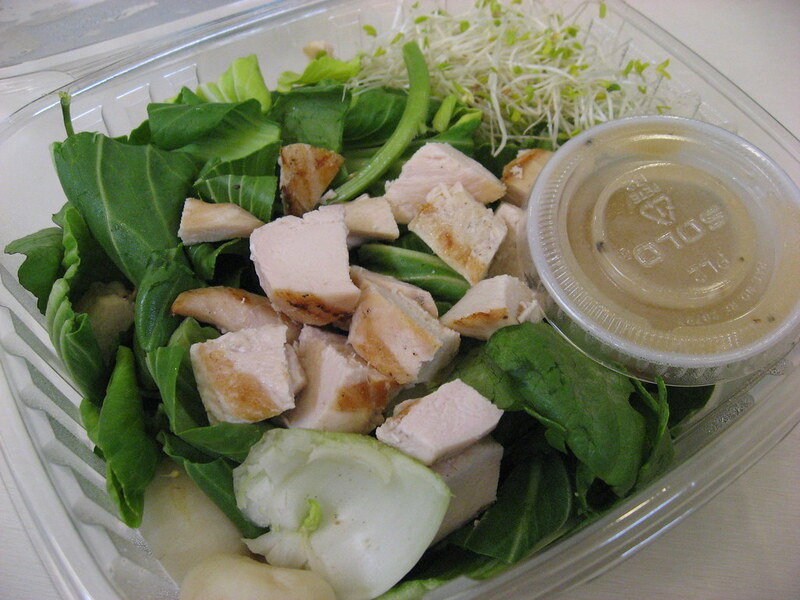 For lunch, I had an Asian chicken salad which consisted of various leafy greens, including raw baby bok choy. This was the first time I'd ever eaten bok choy uncooked. The ruffage was little bit hard to chew but I'm fairly certain it was more nutritional than a much softer lettuce salad. Instead of eating my dinner, I saved it for the next day's lunch. 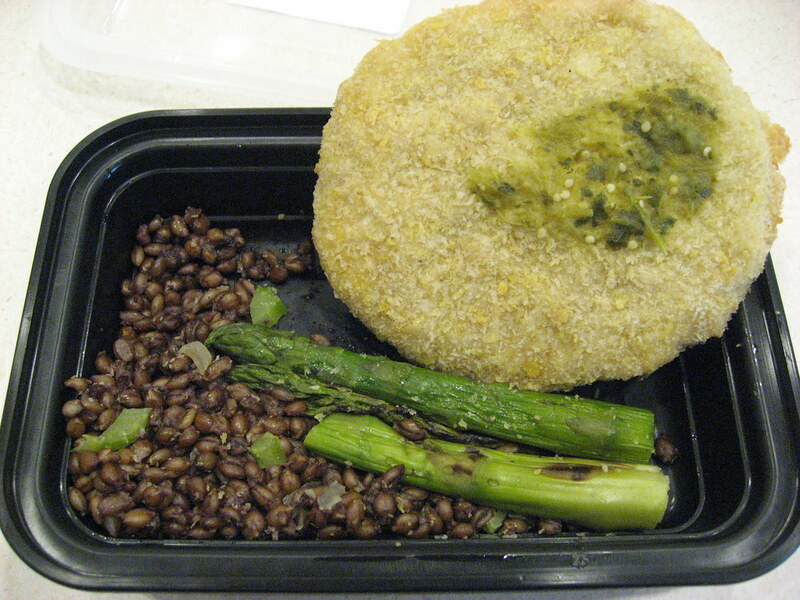 'Dinner' was a chickpea patty with black barley and asparagus. The chickpea patty was really good. It tasted like chicken even had the same texture. There was a tiny dab of really tasty green salsa on the patty. I actually thought it was just some asparagus skin but then I tasted it. The asparagus was blanched so it still retained its crispness. The black barley was chewy did not appear to have any oil or seasonings. In addition to the three meals, I also received two snacks - an hors d'oeuvre and a dessert. 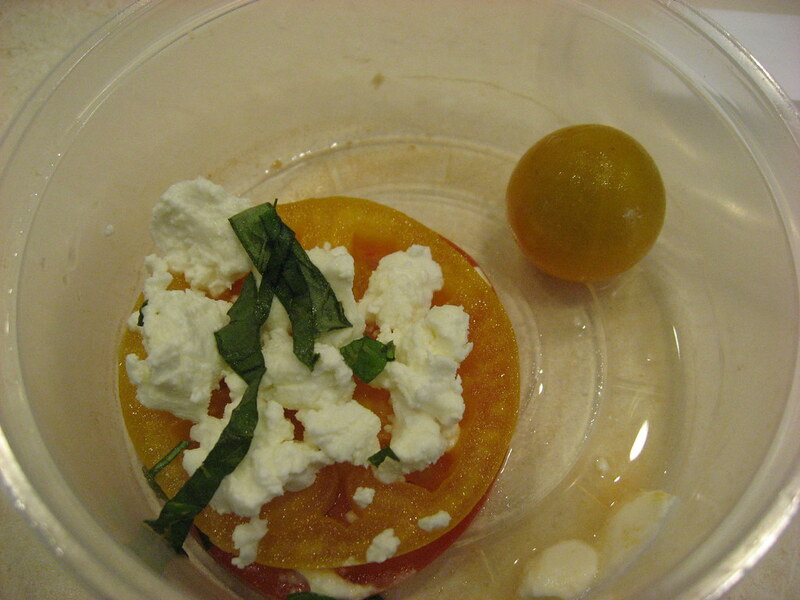 My hors d'oeuvre was tomatoes with goat cheese. There was a single slice of red tomato and yellow tomato and a cherry tomato. The goat cheese was a nice touch but it did get a little watery from the tomato juice. 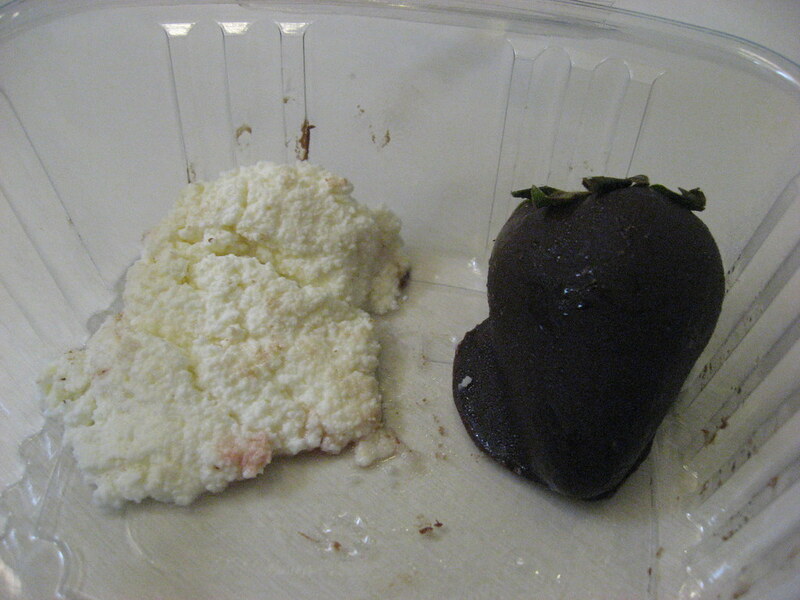 My dessert was a dark chocolate dipped strawberry with ricotta cheese. The chocolate complemented the firm and sweet strawberry. I wasn't sure if I like or disliked the saltiness of the ricotta cheese with the strawberry. The convenience of The Fresh Diet is very appealing. I wish I had purchased more than one Groupon for this so I could have sampled more days. I was surprised they didn't have the nutritional information readily available. I sent them an email but I never received a response. In all honesty, the price would preclude me from ever considering this on a regular basis but if I had to go out of town for an extended period of time, and assuming they were available in that area, I'd definitely consider using this service. Looks like a relatively sound plan--I like that it is fresh foods as opposed to overly processed stuff. I still think 1,800 calories might be light for someone active, but what do I know? Looks alright but not enough for me by far! I work on a train more, eat more basis. I'm running 80km - 100km (50 - 60 miles) per week at the moment and won't live on a diet like that.